Innovative Software, LLC is a business & software development consulting company that has been in business since 1998 developing retail software, corporate software and business solutions for major corporations such as Pfizer, Aetna Healthcare, Cigna Healthcare, United Technologies and Northeast Utilities. We are proud to be an A+ Accredited Business with the Better Business Bureau since the year 2000. We also hold a 100% customer satisfaction record and encourage you to CLICK HERE or contact the BBB at 860-740-4500 for a free report about our company. Please reference our office phone number 860-228-4144 when contacting the BBB. Our MEDAlert™ Business Start-up Kit provides you with everything needed to follow your dreams and start your own profitable & flexible home based business. We are the leader in helping entrepreneurs nationally start their own medical alert business by providing a unique system that is very easy to use. 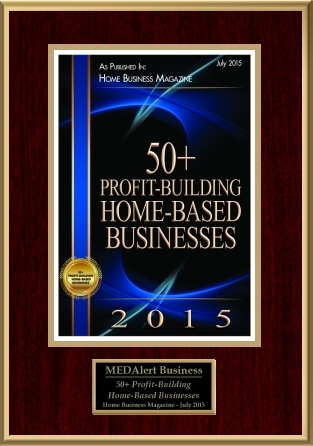 We’ve all heard the expression “Timing is Everything” ... does a MEDAlert™ business exist in your area? We encourage you to ORDER our complete start-up package today, if you are not completely satisfied you may return the business startup kit within 30 days for a full refund.